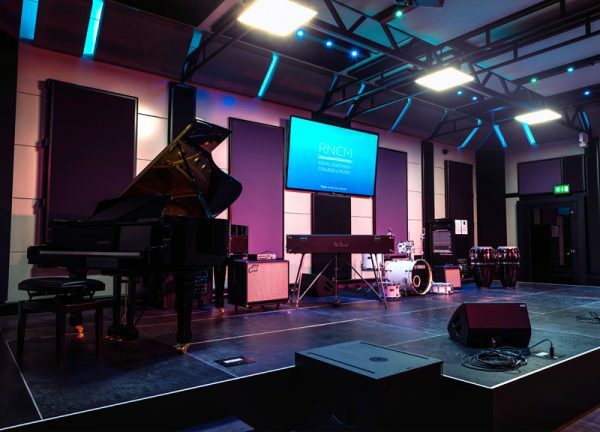 Amadeus Acoustic Solutions, in partnership with Italian manufacturers BOXY, are proud to announce the completion of their largest ever modular studio installation at the Royal Northern College of Music, Manchester. The £850,000 project saw theatre space previously used for small-scale productions and concerts converted into one overall enormous space 12m x 11m x 4m and includes a fully equipped adjoining recording studio that enables RNCM musicians to comfortably create and capture amplified and electronic music. 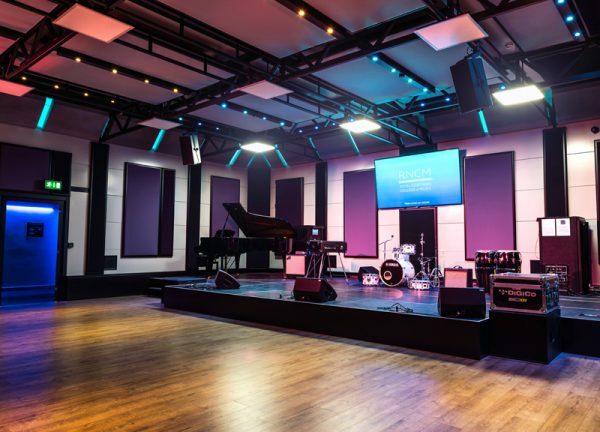 The brand new rehearsal and recording facility opened officially this semester in time for the college to launch the UK’s first four-year BMus Degree in Popular Music. 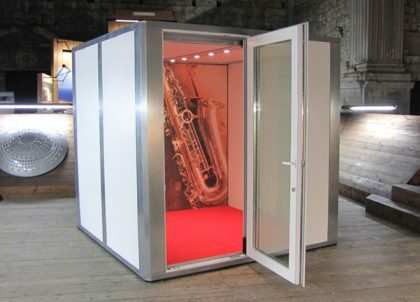 This is Amadeus Acoustic Solutions’ and BOXY’s largest modular installation to date and surpasses last year’s double installation at Terminal Studios, Bermondsey, which came in at 11m x 7m x 4 m and 7m x 5m x 4m respectively. Images courtesy of Helen Roscoe, Royal Northern College of Music, 2016. Studio 1 is a world class facility that we are now using as a multi-functional space for teaching, rehearsing, performing and recording. RNCM students are enjoying the fact that the aesthetic design, sound system and acoustic enables them to learn, create and perform to their full potential and for their music to be captured and disseminated around the globe. Thank you Amadeus!